Full body high intensity workouts at home or on the go. Includes full color exercise guide and exclusive lay flat straps - Great gift! 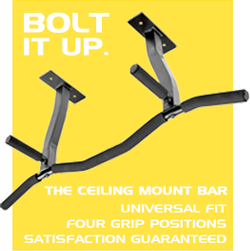 Expand your placement options with the ceiling bar that fits both 16" and 24" joists. 4 grip positions give the perfect workout. Hardware included, satisfaction guaranteed. Get the top rated Dip Bar designed for fast results at home and on the go. Rapidly sculpt chest, shoulders, arms, back and core. Satisfaction guaranteed. When you want performance in your bodyweight gym start with gear designed and built for home and commercial gyms of any size. Our passion is supporting your best workouts with quality, innovation and value. Outfit your gym with a mounted pull up bar, dip station, and accessories like gymnastic rings, suspension trainers, parallettes and more. Shipping is free on orders over $40 and your satisfaction is our top priority � guaranteed. 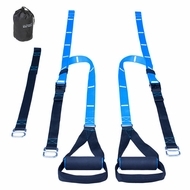 Add fresh inspiration to your gym with Workout Gear like Ab Straps, Indian Clubs, Gymnastic Rings, 12� Parallettes in steel or wood, Suspension Trainers and more. The right gear lets you dial in custom workouts for every day of the week. Shop now. 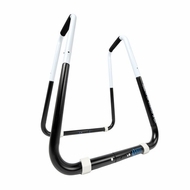 The mounted pull up bar rewards all skill levels with performance that inspires frequent workouts. Confidence in your bar means you can focus on form and reps for better results in less time. 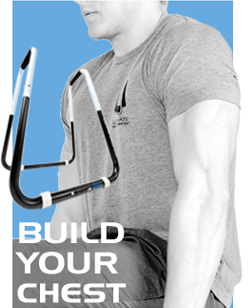 Get complete insights on choosing and mounting the right bar for you in the new Mounted Pull Up Bar section � including info on getting complete workouts right from day one. Dips build rapid results across the chest, arms, back and core. The Original Dip Bar Fitness Station by Ultimate Body Press gives you even better workouts with an open asymmetric frame for both Chest and Tricep dips, Body Weight Rows and much more. Get the performance gains you need and the look that only comes from real fitness, order your Dip Station today. Suspension trainers are a performance trend for good reason, suspension trainers make it easy to build functional strength with full body workouts at home and while traveling. 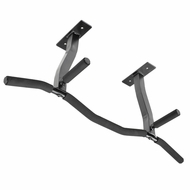 Suspension trainers come complete with multiple anchoring options for outdoor and doorway use and are the ideal accessory for mounted pull up bars. Ultimate Body Press Suspension Trainers include 26 exercises detailed in a full color poster and online guide including assisted exercise variations for complete sets right from day one � even for pull ups. If you want workouts that fit your lifestyle and exceed your performance goals, start with Ultimate Body Press Suspension Trainers. As the manufacturer, all our prices are a fraction of retail. Selling direct also puts us in the best position to offer discounts and incentives on all our top gear. 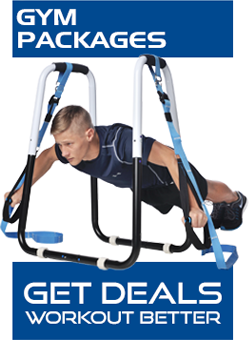 Check out the latest specials and take your gym to the next level � for less.